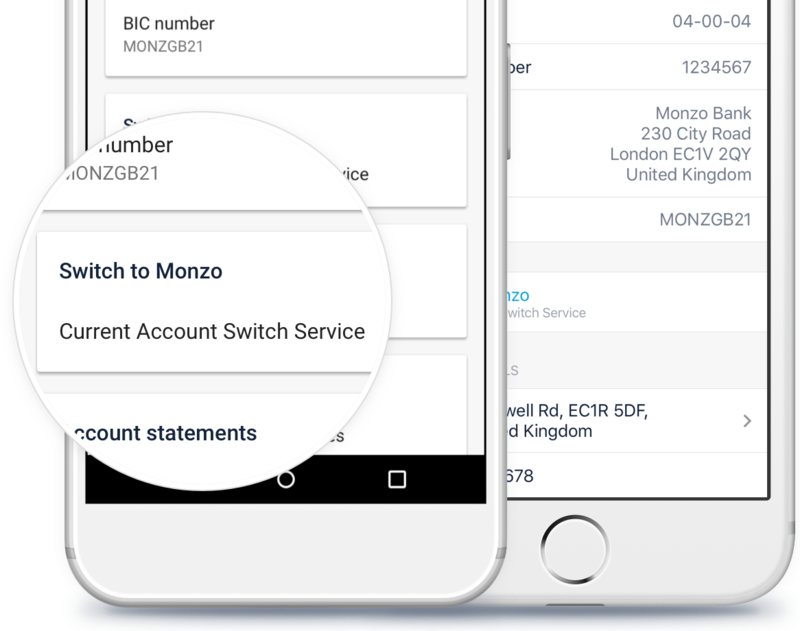 The Current Account Switch Service means moving payments or making Monzo your main account is a breeze. The Current Account Switch Service is a not-for-profit organisation that lets people move quickly and easily between bank accounts. 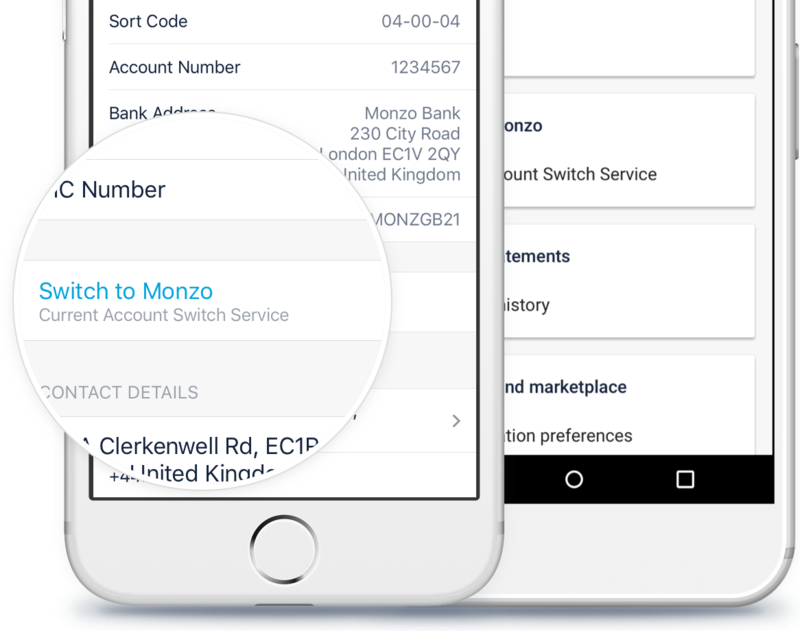 We’ve teamed up with them so it’s painless for you to switch your personal and joint accounts to Monzo. Full switches are covered by the Current Account Switch Guarantee, so if anything goes wrong you won’t be left out of pocket. 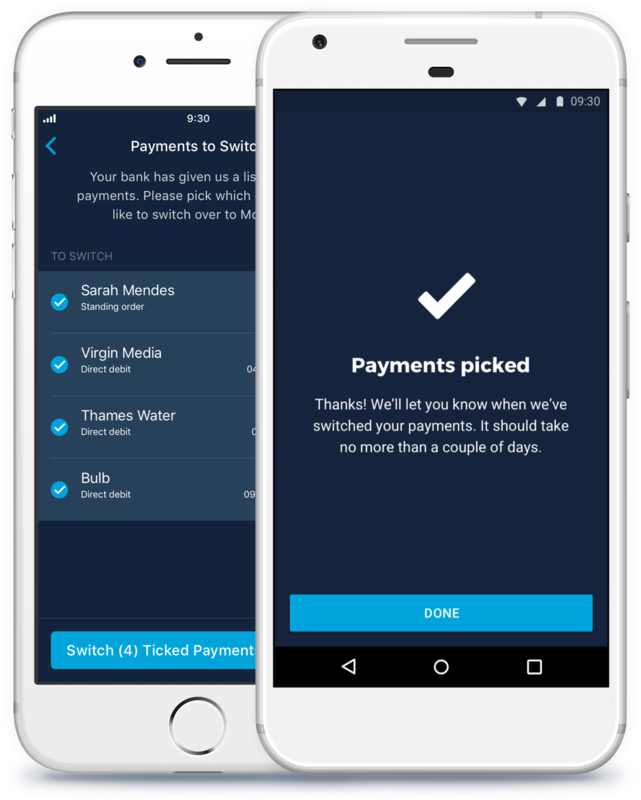 And we’ll make sure any payments to your old account always make it to the right place, even after your old account is long gone. No trips to the bank. No messing with ID and statements. You just need to tell us when you want to move, and we'll do the rest in 7 working days. We’ll move your money and payments (like Direct Debits and standing orders), and close down your old account for you. 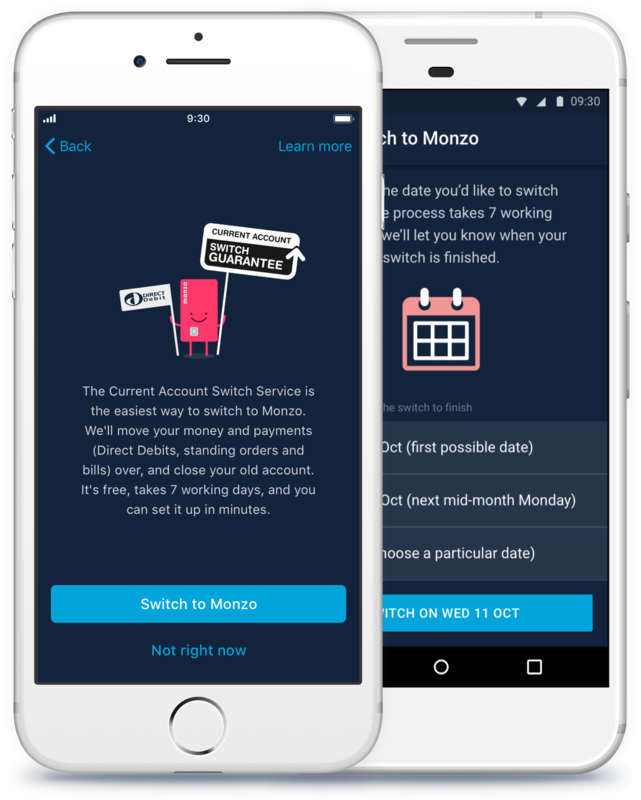 Tap to “Switch to Monzo” and we’ll guide you through your switch!